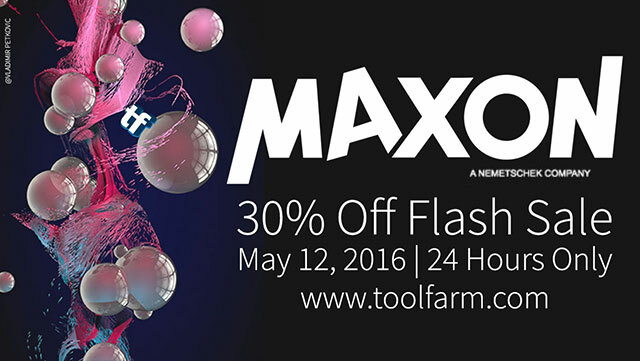 This Thursday, May 12, 2016, for 24 hours only, MAXON will be offering 30% off all licenses and upgrades! MAXON is turning 30, and to celebrate, ALL MAXON licenses and upgrades* are 30% OFF for 24 hours only, Thursday, May 12, 2016. Whether you’re new to Cinema 4D or BodyPaint 3D, want to upgrade or simply purchase an additional license, this is your chance! *Excludes the MAXON Service Agreement (MSA), which can be purchased at its regular price.